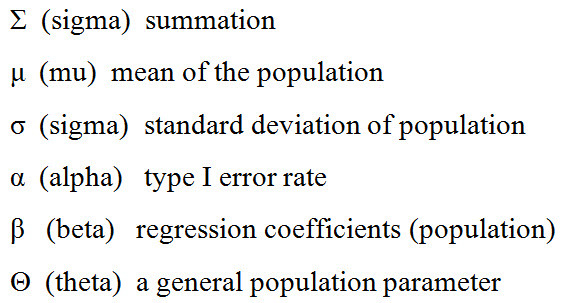 In statistics, we frequently use Greek letters to symbolize population parameters and certain functions or concepts. Having a solid grasp of the following letters will help students read and interpret statistics. Go to the page on Rounding!